Fred Zafran's Old Miami Downtown portfolio was recently featured inLife Force Magazine, an online magazine which celebrates the art-form of the photo-essay. 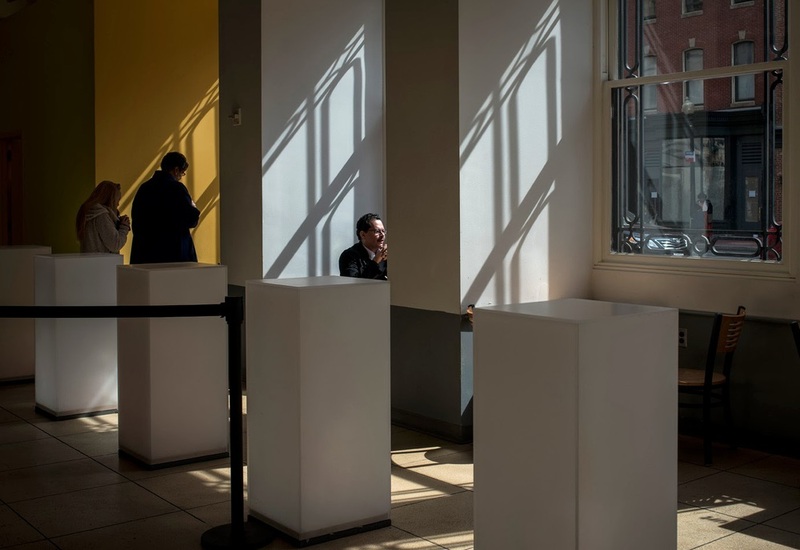 Fred Zafran’s new show, 7th and H Streets, NW, at Multiple Exposures Gallery, is an exploration of the historic Old Downtown neighborhood in Washington, DC. More than a simple depiction of the character of the neighborhood, the images form a psychological landscape that communicates the spirit and presence of place. Fred offers insights into the joys of street photography and how they led him to this exceptional new portfolio. Congratulations on the opening of your new exhibition. Would you tell us a little about your photography and way of working? I am principally an urban photographer and most of my work takes place “on the street.” My way of working is to set out with very little equipment… usually just a single camera and lens. I wander the streets observing, listening, trying simply to be present. I find joy in exploring without plan or preconception, remaining open to the unanticipated “stories” that the day may offer. Do you choose specific locations to shoot or do you wander until you see something intriguing? Both really. I remain open to the possible, but at the same time, I’m drawn to settings with extraordinary light. I am always looking for illumination that “textures the darkness” because it is here that light itself imparts its strongest meaning. If I find a spot with extraordinary light, I will explore this location until I find the right vantage. Then I might stop and wait (…and wait some more) until an idea or opportunity presents itself. I could be at a single location observing and waiting for quite some time before I begin to press the shutter. Would you share more about your new project and portfolio of work? For a year, I returned repeatedly to the neighborhood surrounding 7th and H Streets, NW, in Washington, DC. This is the historic "Old Downtown" DC and the corner of 7th and H Streets may be considered its "epicenter." The neighborhood is defined by the intersection of three distinct subcultures – a popular DC entertainment quarter, a Chinatown fading in decline, and a shadow world of those struggling and living too close to the street. There was something about this neighborhood that kept bringing me back, to wander the streets, to explore, with the intent to document what I saw. The images in your portfolio feature people from a number of different vantage points – at street level, from outside on the street looking in, from close and from farther away. Does vantage affect “comfort level” and does this change based upon proximity? In some cases, I’m very close to the people within the frame I’m capturing. Often I will have to react quickly to capture the image envisioned. If I have the time and opportunity, I like to engage, say hello, share a bit about what I am doing… and ask if it would be OK to make a photo. When I shoot from the outside in, I sometimes go to the window, raise my camera and with a gesture, silently ask permission. Often the person will nod and smile and indicate they are OK with the situation. When you get close to people in street photography, you just have to work through any potential discomfort that arises. Connecting with people is part of the magic of street photography. What do you want people to take away from your images? If my images are successful, the viewer will want to come back to look again. Alex Webb, a Magnum photographer and another well-known street photographer, describes less successful photos as “one-note” images – mildly interesting, but you look once and don’t care to come back again. Successful images ask questions, communicate emotionally on multiple levels, and don’t readily yield up their answers. What advice do you have for individuals interested in exploring street photography or improving their street photography? It is helpful to look at the images of master photographers whose work was largely accomplished on the street. Examples include Andre Kertez, Henri Cartier-Bresson. Ray Metzker, Josef Koudelka, Fan Ho, Saul Leiter, Sam Abell, Alex Webb, Joel Meyerowitz, Helen Levitt, Daido Moriyama, and Vivian Maier. However, the most important advice is really to pick up your camera, head out and make photos… and then go out and do it some more. When shooting on the street, go without plan or preconception. Simply wander, be aware, and remain open to the possible. I would also follow Sam Abell’s sage advice to “look for the setting first.” Let the light lead you to the right circumstances, compose, wait, and often the subject will find you. 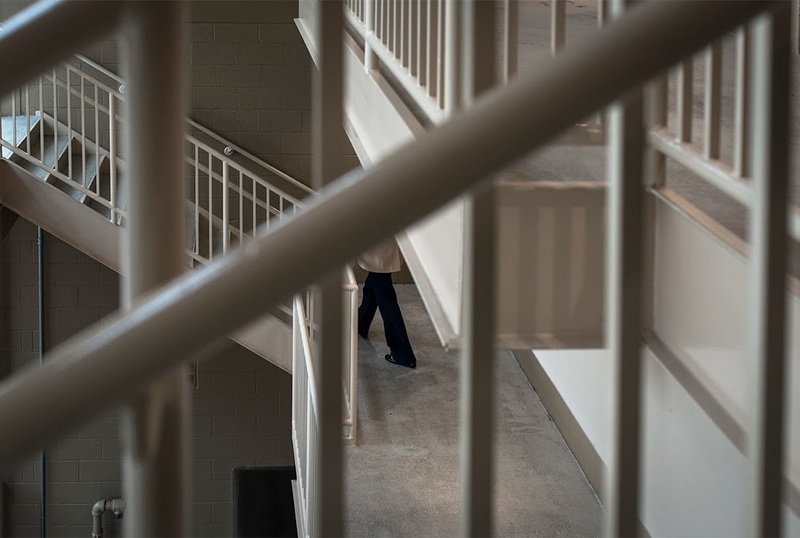 The opening reception for Fred Zafran’s new show, 7th and H Streets, NW, will be held Sunday, March 2, 2014, from 2pm-4pm, at Multiple Exposures Gallery at the Torpedo Factory Art Center in Alexandria, Virginia. Multiple Exposures Gallery's newly-minted president, Fred Zafran, explains the meaning behind a message. At first uncertain, the meaning (and wisdom) of the message gradually became clear. As our technique and craft evolve along with the opening of artistic sensibility, we find on occasion that our captured images seem, well… expressive, and perhaps even compelling. Maybe others seeing our work have said so too. Now energized, we are driven to create more compelling images, to be open and receptive to finding more.But… as the desire (the need?) arises to communicate an inner intent and deeper narrative through our work, we find that this is no longer possible with a single image (or a series of disconnected images). So, it is within the context of the photographic essay (or project) that this communication becomes possible, and an imperative.